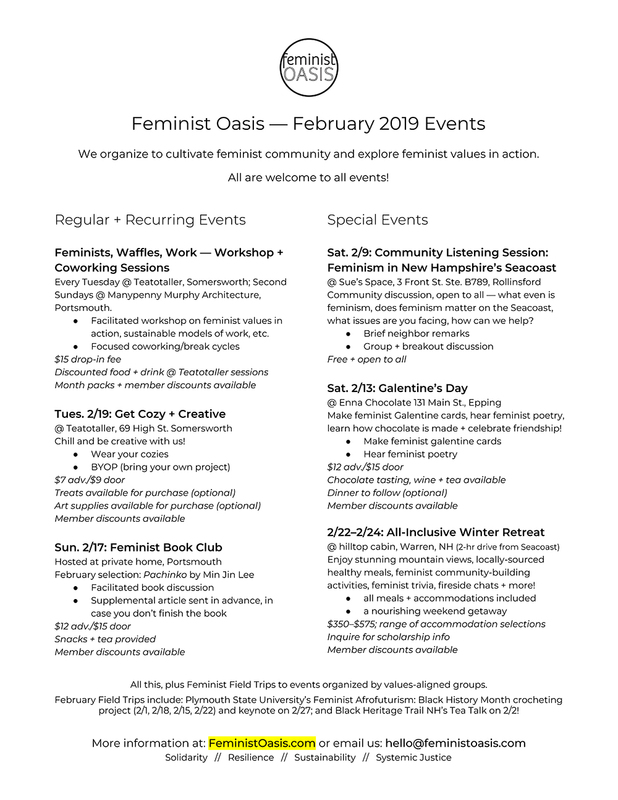 We have many events coming up in the month of February — *three* special events in addition to our recurring and regular monthly/weekly event series, PLUS a bunch of field trips! 2/22 – 2/24: 2019 Winter Retreat! Want the whole February lineup on a flyer?